Losing weight is an uphill battle. You have probably tried everything. Extreme diets haven’t worked. You lose the weight only to gain it back again. Working out helps, but you only have so much time in a day. You’re getting discouraged about winning the battle. It’s time to consider protein shakes for weight loss. 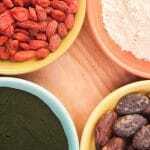 180 Natural Protein Superfood is first rate when it comes to protein powders. It contains only natural ingredients. It’s important to leave out artificial additives and preservatives when you are forming a plan to lose weight. If you want to get the best results from your body, you need to put the best foods in your system. 180 Natural Protein Superfood can be added to yoghurt or your choice of milk or water for a smoothie. Now it’s time to create a plan of action. One of the best ways to use protein shakes for weight loss is to substitute one to three of your meals with a shake. You also want to re-think your meals. Try having six small meals a day, rather than three large meals. For the meals other than shakes, be sure to include lean proteins and plenty of fresh produce. Stay hydrated as well. Add regular exercise and you are going to be amazed at how good you look. You’ll also feel your best with 180 Natural Protein Superfood shakes as part of your daily diet. Everyone knows that it is important to burn fat and build muscle in order to lose weight. 180 Natural Protein Superfood will help you to kick up your metabolism with its natural ingredients that are high in fibre, minerals, vitamins, and antioxidants. It contains flaxseed, chia seeds, pumpkin seeds, sesame seeds, grass fed whey protein isolate, cocoa, coconut flour, and other substances that are known for their beneficial properties. Put the very best in your body and feel your best as well as you achieve your weight loss goals. 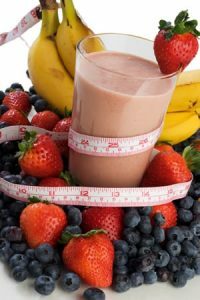 180 Natural Protein Superfood shakes can continue to be a part of your regular diet even when you have reached your ideal weight. You will be able to maintain your weight and continue to feel an increase in energy. Have a protein shake and enjoy!